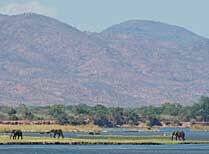 Discover a true African wilderness unspoiled by mass tourism. 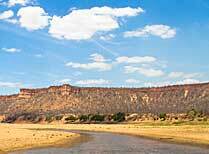 Enjoy the endless scenic landscapes and towering cliffs of Gonarezhou. Step back in time and admire the ingenuity of the artisans who built this ancient city. A laidback city with modern buildings, wide avenues lined with jacaranda trees, public parks and gardens. 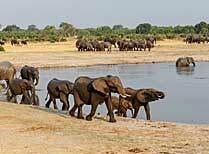 With plenty of wildlife and a huge elephant population Hwange delivers a great safari experience. Experience a safari by the water, and see how nature thrives in this beautiful part of the country. 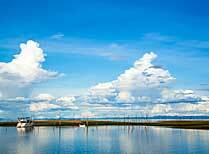 A UNESCO World Heritage Site that offers both a river and inland safari experience. Wildlife concentrations increase as the water dries up through the summer months. 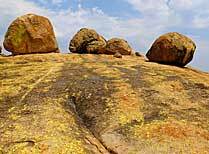 This spiritual place is an impressive landscape of giant balancing boulders together with a healthy rhino population. The smoke that thunders is one of Africa's gems, we think everyone should visit at least once in their lifetime. 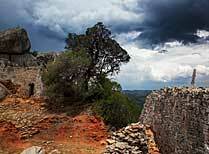 Start planning your tailor-made holiday to Zimbabwe. Tell us what you want, and we will tailor make your perfect trip.  Flight time: Flights from UK to Harare or Victoria Falls are usually via Johannesburg and can take 12+ hours, although once the new Victoria Falls airport is fully operational there may be an option of direct flights – watch this space. 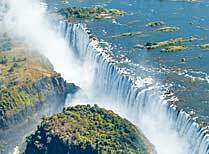  Language: English is the official language of Zimbabwe. Shona or Ndebele are also widely spoken by the majority of the population. 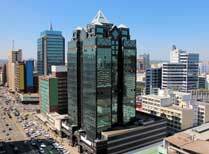  Visas: Visas are required for UK passport holders and can be obtained on entry into Zimbabwe. 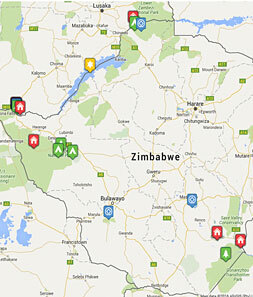  Health: Malaria is a risk in many areas of Zimbabwe.